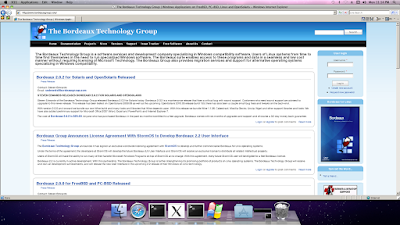 The Bordeaux Technology Group released Bordeaux 2.0.0 Beta 2 for Mac today. Bordeaux 2.0.0 Beta 2 marks major progress over the older Beta 1 release. With this release we now support Leopard and Snow Leopard. We have improved support for Microsoft Office 2007 (Word, Excel and PowerPoint) and preliminary support for Internet Explorer 7 in this release, there has also been many small bug fixes and tweaks on the back-end. The cost of Bordeaux 2.0.0 Beta 2 is $20.00. Mac customers who pre order this Beta will save $5.00 once the final release ships the cost will be $25.00 pre order customers can also join our Beta testing group. Anyone who has purchased Bordeaux in the past six months is entitled to a free upgrade. Bordeaux comes with six months of upgrades and support and of course a 30-day money back guarantee. Please read our Mac Beta 2 readme file before you use Bordeaux. 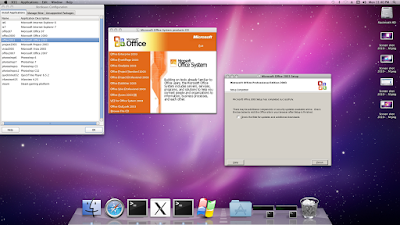 Mac OS X Leopard OS-X 10.5.7 or later is required to install this package. 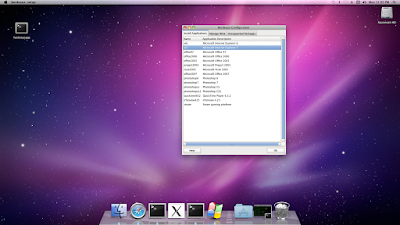 Bordeaux User Interface on OS-X Snow Leopard. Bordeax Starting the Internet Explorer 7 Install. 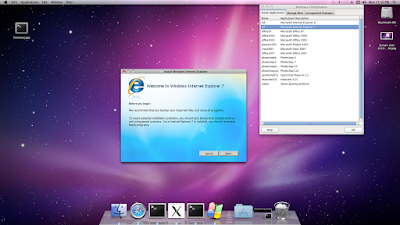 Internet Explorer 7 running on OS-X Snow Leopard. 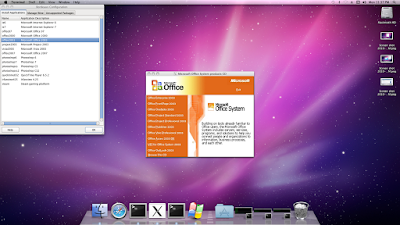 Microsoft Office 2003 Install has Completed. 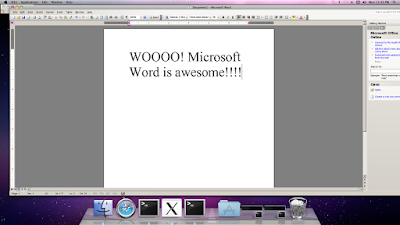 Microsoft Word 2003 on OS-X Snow Leopard. 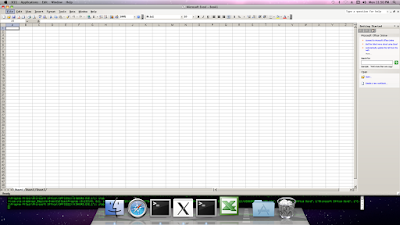 Microsoft Excel 2003 on OS-X Snow Leopard.